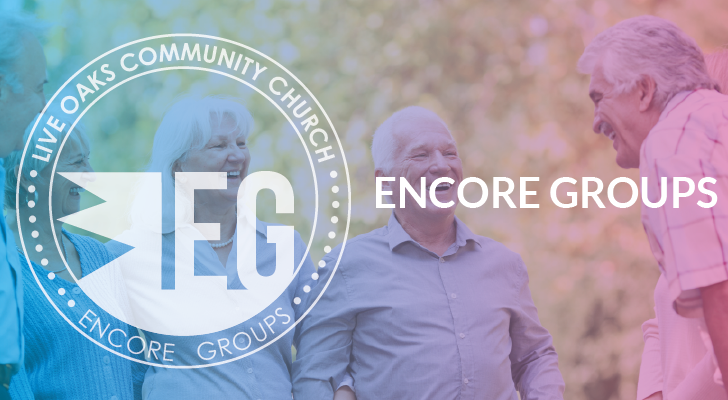 More than 400 people who attend Live Oaks Community Church participate in an Encore Group but there is still room for you! Encore Groups were created to accomplish both of these commitments. Groups consist of 12-16 people (both couples and singles) who meet weekly from October through April to study God’s Word and to encourage one another spiritually through sharing, prayer, and mutual support. Each participant receives a weekly study guide that links the group’s discussion to the previous Sunday’s sermon. Our Fall Trimester is under way. We still have some openings and if you would like to be placed in a group, please contact Pastor Bob at 847-917-0551.